Kolsch is a German style golden-blonde ale that combines subtle malt flavorings with a clean finish that makes it quite the thirst quencher. Kolsch is the go to beer if you want to step out from the standard domestic beer category and take a step on the craft side. “Leave the sun on” with this summer brew. Oberon is a citrus wheat ale that will quench your thirst in seconds. 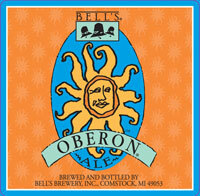 Oberon is only around a few short months so make sure you get a mugful of this beer before it’s gone. 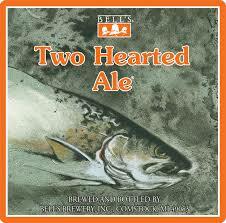 Said to be the best India Pale Ale (IPA) in the world, Two Hearted will be sure to please your taste buds. IPAs tend to have a higher hop profile, leading to a floral aroma and more bitter finish. They can be deceptively light in color, but pack a punch with hop flavor. Two Hearted balances the hops and malts perfectly leaving a full flavor brew behind. For those not thrilled with the hop forwardness of an IPA and may want something will a fuller flavor than a wheat beer, meet the brown. Caramel notes and malty toasted grain flavors pull this beer together. 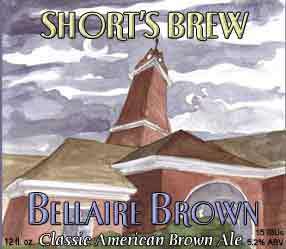 If you enjoy drinking coffee, browns are a good beer for you. Mix and IPA with a brown ale and what do you get…an Amber ale! 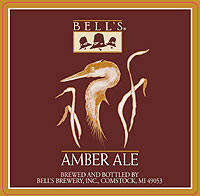 Ambers combine the caramel malt flavors of a brown, with the citrusy, floral, hop qualities of an IPA. Ambers tend to be darker in color than an IPA and lighter than a brown, combining the best of both worlds while not sacrificing anything in flavor. 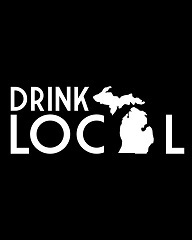 This is not a comprehensive list of all the great Michigan beers out there. Some may have noticed that there isn’t a stout or porter even recommended on here. Because they are so dark and can be a heavier beer, stouts and porters tend not to be big crowd pleasers or something people continue to drink throughout the night. For those who really want to offer a stout, we at Shadowland recommend offering it by the bottle so as not to waste a whole keg of beer. Another trend to look out for are the different cider and mead varieties out there. Ciders provide a crisp, clean taste and traditionally land on the sweeter side of the spectrum. An added plus is that they are gluten free, so those guests with allergies would appreciate that option as well. Meads are fermented with honey as the base, rather than grain. Meads can land all over the place on the sweet to dry spectrum and they are also gluten free. Michigan ciders are still growing, but Virtue Cider provides many options and B. Nektar Meadery and Dragonmead are a couple places that offer mead varieties. Again, since these beverages may not appeal to a majority of the guests, asking Shadowland to get a case and offer it by the bottle can offset some waste and costs. 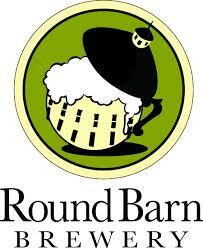 There are hundreds of great beers out there, these featured ones are the ones our couples at Shadowland have historically served at their weddings and go over well, but Cheyenne and Amy will work with you to make sure you and your guests are completely satisfied with what’s on tap. Great post! I would love to try each of these Michigan beers!